Regardless of the skin type, every mature woman should have a day cream in her vanity bag. As it is exposed to harmful sunlight, pollution and microdamage, face skin needs solid support. Thus, as it does its best to serve such needs, ORPHICA introduced an innovative TIMELESS line. Enriched with Pro-Lift Complex™ formula, TIMELESS anti-ageing day cream offers triple anti-wrinkle protection, making skin smooth, elastic and deeply nourished. 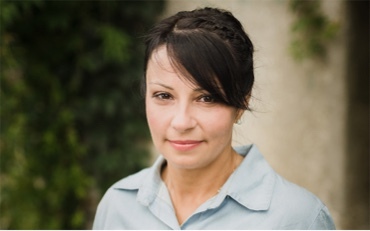 Active ingredients stimulate collagen and elastin production, preventing saggy skin. They also reduce discolouration, diminish the appearance of uneven skin tone and work as an antioxidant. 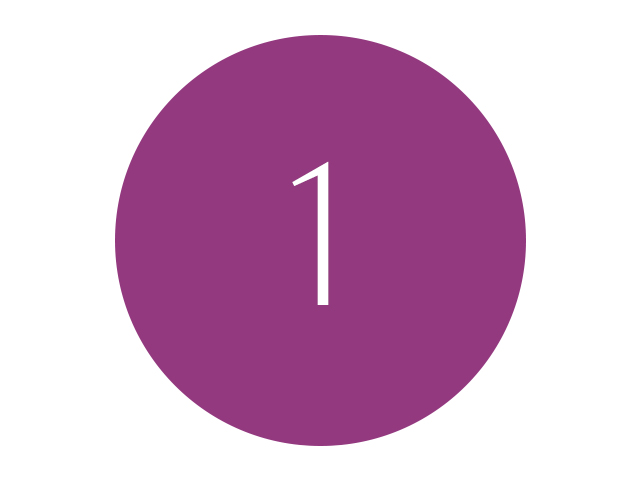 The product has been dermatologically and allergically tested. 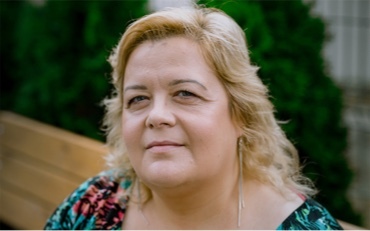 Women who took part in the product testing appreciated the benefits of the TIMELESS day cream. If your skin is in need of daylong protection and nourishment, TIMELESS anti-ageing day cream is just right for you. It is perfect to combat ageing signs. Its unique Pro-Lift Complex™ formula has been created for women who dream about smooth, resilient and fresh face skin. Rigorous examination the product has undergone confirmed its active ingredients prevent premature skin ageing. SPF 20 helps to protect skin from harmful UVA and UVB radiation. After I noticed the first wrinkles couples of years ago. Year after year, skin on my face became drier and got limper. I'd tried various creams to hydrate it but saw not much of a difference. All of the products were too greasy and blocked epidermal pores. 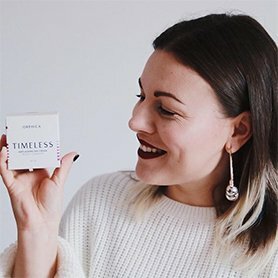 The moment I started using TIMELESS cosmetics, I really saw a difference and my expectations were matched. 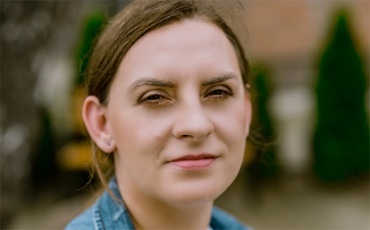 The day cream made skin on my face visibly brighter, smoother and rejuvenated. I'm so glad. a beautician. 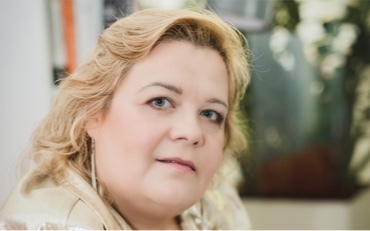 That is why I chose cosmetics form the TIMELESS line. I had tested a dozen of various products but only the day cream from ORPHICA is a real game changer and it is my fav. It is light, spreads easily, smooths wrinkles and helps diminish discolouration. 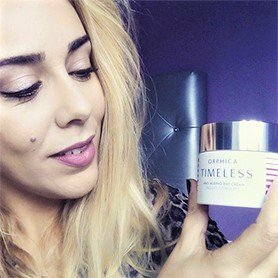 After Cosmetics from the TIMELESS line are my favourites and I use them regularly. When I apply them on my face and neck, skin gets firm at once and looks fresh all day long. The day cream is my top choice because of its consistency and ingredients. Also, it is extremely easy to spread and protects from UV radiation. I use it in the summer and winter. I could not live without it! Each of my friends already knows how wonderful it is. TIMELESS anti-ageing day cream is enriched with Pro-Lift Complex™ formula. A unique combination of its active ingredients makes face skin smooth and supple. High quality, safety and effectiveness are what guarantees our customers' satisfaction. The product is composed of natural ingredients and extracts which condition face skin, preventing its dryness. A combination of arginine and lysine, called Peptiskin complex, provides triple anti-wrinkle protection, fills furrows and unevenness and prevents flabby skin. Abyssinian Oil evens out skin tone, reduces discolouration, making skin supple, soft and radiant. Cryptomeria japonica extract stimulates blood circulation and works as an antioxidant. Allantoin soothes skin and eliminates irritations. Vitamin E provides intense hydration, shelters skin from UV rays and aids collagen formation. Glycerine smooths wrinkles, making face skin firmer and more flexible. Before you apply the day cream, make sure skin of your face is purified. HOW DOES TIMELESS ANTI-AGEING DAY CREAM WORK? The active ingredients of TIMELESS anti-ageing day cream stimulate cells to produce collagen and elastin, preventing flabby skin. Moreover, they even out skin tone and reduce discolouration. 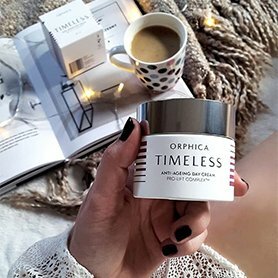 HOW TO USE TIMELESS ANTI-AGEING DAY CREAM? All you need to do is to apply a small amount of the cream into a purified face and neckline, avoiding the eye area. Next, spread the cream gently with circular movements until fully absorbed. 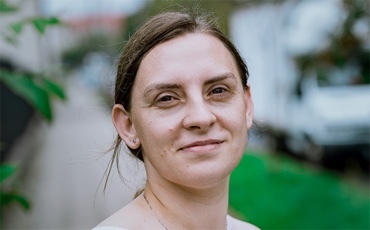 The product should be used during the daytime. WHO IS TIMELESS ANTI-AGEING DAY CREAM FOR? TIMELESS anti-ageing day cream is suitable for women with all skin types. It is intended for those who fight battle against first ageing signs and wish to look young and fresh. 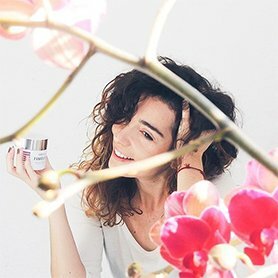 WHAT MAKES TIMELESS ANTI-AGEING DAY CREAM UNIQUE? 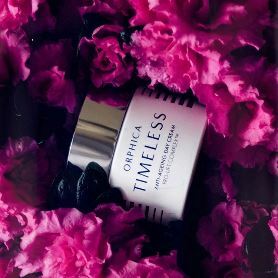 TIMELESS anti-ageing day cream is absolutely unique as it is enriched with Pro-Lift Complex™ formula which offers triple anti-wrinkle protection, making skin smooth, elastic and deeply nourished all day long. 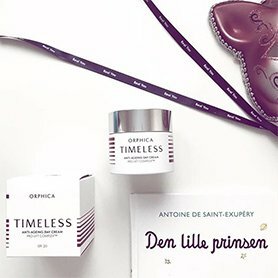 How long is TIMELESS anti-ageing day cream PAO (period after opening)? IS TIMELESS ANTI-AGEING DAY CREAM SAFE? Yes, the product is completely safe. 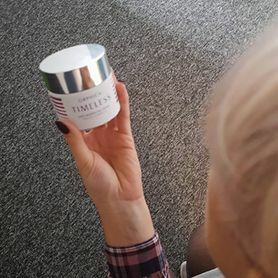 TIMELESS anti-ageing day cream has been subjected to rigorous allergological and dermatological examination which confirmed that the active ingredients contained within prevent premature skin ageing. That is why it can be used without concern. WHAT ARE THE INGREDIENTS OF TIMELESS ANTI-AGEING DAY CREAM? 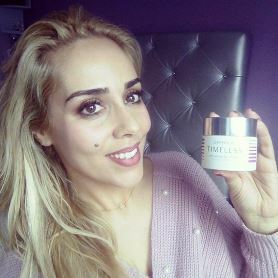 TIMELESS anti-ageing day cream ingredients are: Aqua, Caprylic/Capric Triglyceride, Isohexadecane, Ethylhexyl Methoxycinnamate, Bis-Ethylhexyloxyphenol Methoxyphenyl Triazine, Phenoxyethyl Caprylate, Propanediol, Glyceryl Stearate, Butyl Methoxydibenzoylmethane, Glycerin, Aluminum Starch Octenylsuccinate, Coco-Caprylate, Cetearyl Glucoside, Cetearyl Alcohol, Stearic Acid, Crambe Abyssinica Seed Oil, Cetearyl Ethylhexanoate, Butylene Glycol, Cryptomeria Japonica Bud Extract, Acrylates/C10-30 Alkyl Acrylate Crosspolymer, Allantoin, Tocopherol, Beta-Sitosterol, Squalene, Sodium Hyaluronate, Phenoxyethanol, Ethylhexylglicerin, Arginine/Lysine Polypeptide, Sodium Hydroxide, Disodium EDTA, Parfum. 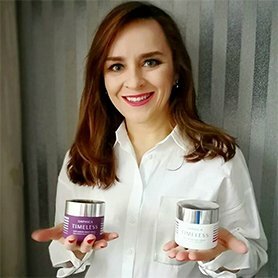 HOW SHOULD TIMELESS ANTI-AGEING DAY CREAM BE STORED?